Reserve one table per form; if you require additional match making tables, please complete a separate form. If you are interested in participating in matchmaking for the Summit & Conference, you are not required to complete a separate registration form, merely select both events when filling out the survey. 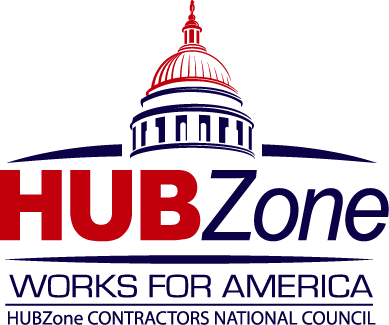 If you are sending different attendees to both events or require assistance registering additional attendees not participating in matchmaking, please email info@hubzonecouncil.org or call 240-442-1787 for assistance. Contractors will be invited to request 15 minute appointments with participating agencies and primes; each 6 foot table will have two chairs for staff and two chairs for contractors. Please note the following rates: includes a 1 day registration for 2 individuals for the day in which they will be participating in matchmaking. * 3. Select an event, if you are interested in participating in. * 4. Seeking small businesses within the general service area, please rank by interest level. each code with a comma. * 6. Seeking small businesses that provide the following services or skills, please separate keywords with commas. * 7. Please list preferred contract vehicles your organizations uses such as OASIS, SEAPORT, etc.. please separate with commas. * 8. Please list specialty certifications, please separate each with a comma. * 9. Do you have any specific contracting opportunities you would like to share? * 11. Are you interested in learning more about 1 or more of the topics below.